The Colors and Absolute Color Accuracy of the display should not vary as the on-screen image content changes. 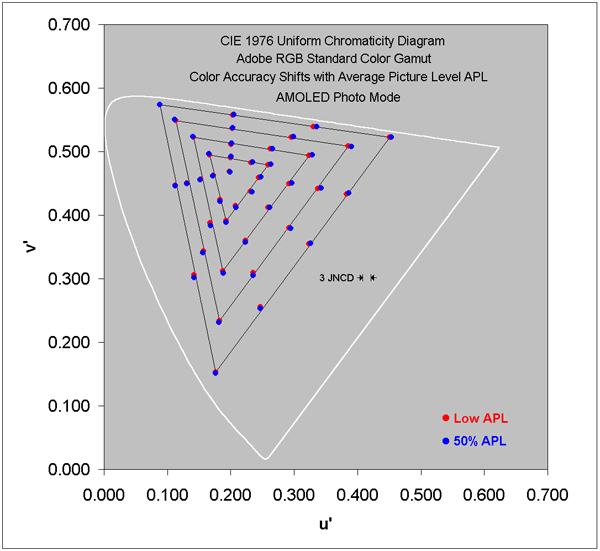 In Figure 4 below we examine and measure the Shifts in Color with changing image content from Low APL to 50% APL. 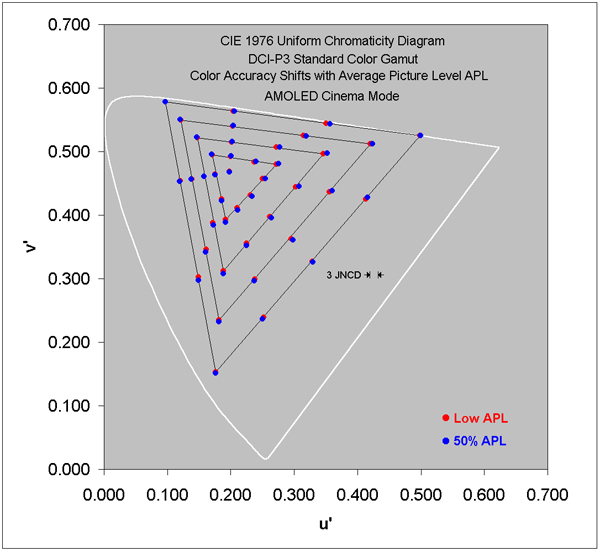 Figures 4a-c show the variation in the Absolute Color Accuracy between Low APL and 50% APL for the Cinema, Photo, and Basic Calibrated Screen Modes. 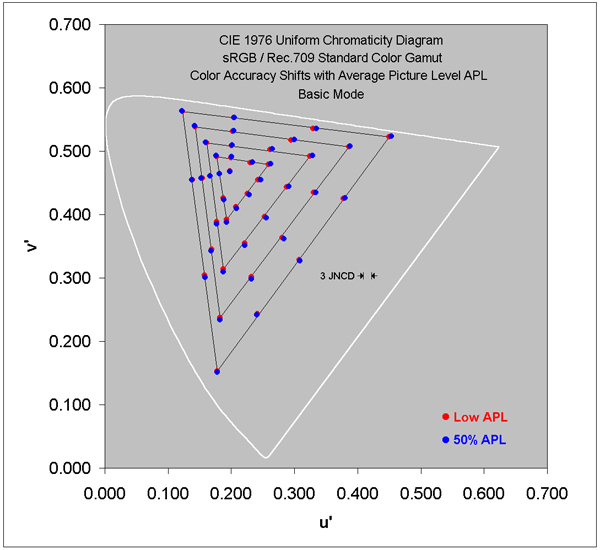 The Color Shifts with APL are small, with an Average Shift of just 0.7 JNCD and the Largest Color Shifts only 1.2 to 1.5 JNCD for all the Calibrated Screen Modes. The White Point Color Shifts with APL for the 3 Screen Modes are all very small at just 0.2 JNCD. See the Color Shifts with APL section of the main article for the measurements and details. See the Absolute Color Accuracy page for an in-depth discussion and analysis of Color Accuracy and definition of Just Noticeable Color Differences JNCD. Any Display Color Error less than 3 JNCD on a display is not visually noticeable and appears perfectly accurate to the eye. A 3 JNCD Color Shift is marked in the Figures below.